I admire French women, from their beauty routine to their easily pleasing aesthetic style. French women just know how to dress, and so far their minimal style with key pieces is something that I'm constantly lusting over. It's not over the top, but not underdressed, it's simply just right. The French women have perfected the everyday outfit with effortless style from top to toe. These are the following key investment pieces I swear by when creating your Parisian capsule wardrobe with a little spin on my own taste. Having a blazer is key essential to any Parisian inspired outfit. It's a key investment piece. Finding the right one for you depends on your own colour/style. I personally love this one from Viktoria and Woods, the gold detail on it just finishes nicely with any outfit. I've worn this blazer a lot, it's a great investment piece. I also think tartan/checkered blazers are très chic also, so find one you'll fall in love with that'll suit your style. Ah! How times have changed, remember when we wore skinny leg jeans? Well wearing straight legged jeans are in! Investing in a good pair of denim jeans is a must I also find this style is way more flattering on me since I'm hourglassed shaped. I also love wearing these with a belt or belting up my blazer. If you don't want to spend too much, check out the outnet.com for a bargain designer jean. These ones are from Acne. Stack it up, dainty gold accessories. I'm so in love with accessories now. I use to be really lazy and forget to wear my rings and necklaces, but I've made it my mission to remember! 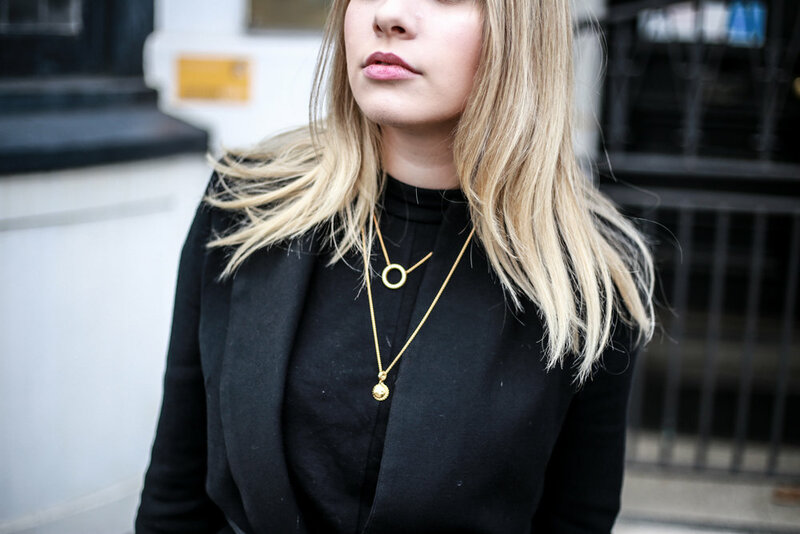 It's amazing how it can just instantly change up your outfit, especially layering your accessories gives it that French street style vibe. Pandora has the chic's rings and pendants. Although French women are renowned for kitten heels, the laid-back French style go-to is a pair of flats! Especially if you're running errands every day. For when you're on the go, these little babies from hush puppies feel so comfortable and supportive, but still so stylish. 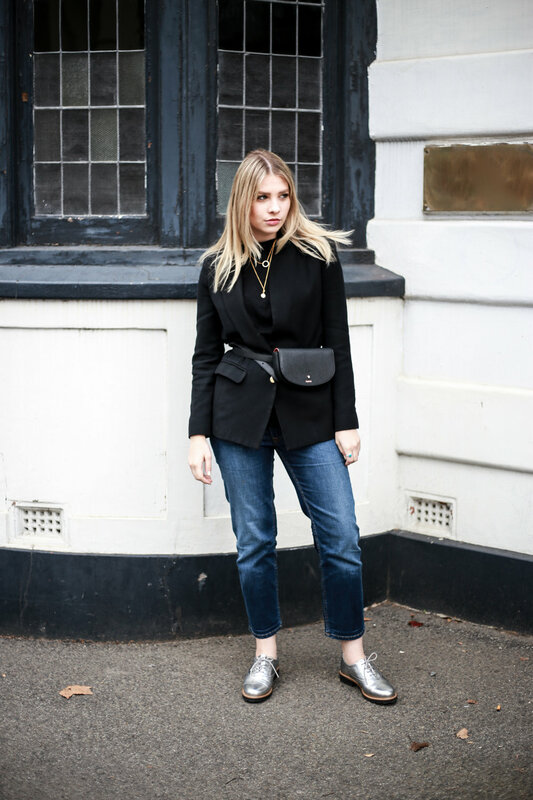 Ah, honestly, this trend was hard for me to adapt to, but that was until I found the perfect little bum bag from Mimco! It works as a belt strap too. If you're going to Europe this is best to invest in one, so you'll have your bag right in front of you at all times. I like to also wear this as a cross body bag, it also works as a nice accessory/belt too, giving your outfit that "extra" style to it. *Note hush puppy shoes & Pandora jewellery were gifted & and written under my own accord and discretion.